The buyer, who always wants the best deal possible. The buyer’s agent, who solely represents the best interest of the buyer. Possibly the buyer’s attorney (in some parts of the country). Home inspection companies, working for the buyer. They will almost always find some problems with the house. One or more appraisers for any valuation questions. Since real estate agents make their careers selling houses, they have marketing tools already in place. They can get your house to a wider range in the market. Recent studies show that 88% of buyers search online for houses, and you can bet that your real estate agent has many tools for that. Simply listing your own home in a newspaper and with a yard sign will only reach a small percentage of the market, causing more work for you. The amount of legal and other paperwork involved in selling and buying homes has grown due to mandatory regulations implemented in recent years. This large amount of confusing paperwork is one of the reasons FSBOing has dropped 10% in the last 20 years. 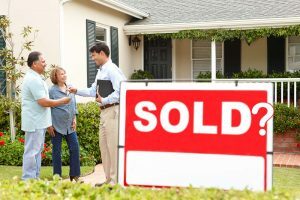 Now that you have seen a few reasons why selling or buying a home that is FSBO may nor be the best option for you, let LDSAgents.com help you find the right agent to help you get your dream home!